How the authorities busted the people behind the original Silk Road and Silk Road 2.0? The original Silkroad and Silkroad 2.0 – these two sites may have avoided the authorities for quite some time, but now the two sites are demise – shut down by the FBI. So, how did the authorities caught the people behind Silkroad and Silkroad 2.0? In this article, we are going to explore that question. Before we address the main question, it’s best that we cover a few important details. Otherwise, you could end up backtracking on some information you might need to get grasp the entire picture. 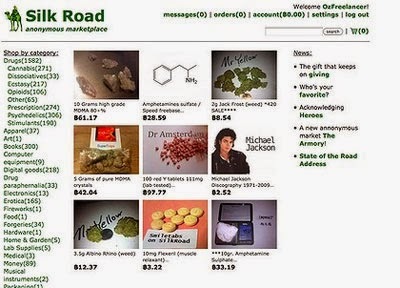 At its core, the Silkroad was basically just like any other online store. However, what mainstream online stores can’t do is sell illicit merchandise or services. There are basically two major problems when selling or purchasing items online. Let’s tackle the first one. The first problem is identity. The mainstream internet is being monitored by the authorities. Everyone knows this. Hence, selling or purchasing illegal items may prove to be tough. Then, the solution came. At some point, the Tor network was invented. The exact mechanism how the Tor network system works is beyond this article. Yes, it can be very complex. For now, let’s just say that Tor can help you surf a special network, which is known as the Dark Web, anonymously. With anonymity, you can free yourself from the worry of someone monitoring your surfing history. But here’s the second problem. Money trail! Whenever you do a transaction, there’s always a money trail. This is particularly the case with digital money that came from the bank. Even if you are anonymous when you purchase something illicit, the money can be traced back to you. That means that you could end up with a new cellmate. Then, the breakthrough came along. Bitcoins! Bitcoins was the last piece of the puzzle that allowed Silkroad 1 and 2 to flourish. Bitcoin is a form of online currency that allows anonymous currency transaction. After these two issues were solved, Silkroad was born, and the rest is history. Now the question is – if the Tor network and Bitcoin currency provided the security by being anonymous, how did the Silkroad founder get busted? Months before Silkroad got popular, Ross Ulbricht was trying to spread the news of his new site; which was Silkroad. First of all, nothing in this world is completely secure. Even the most secure network in the planet can be hacked. It’s just a matter of allocating enough time and resources. Once we have that on the table, we can tackle the question a bit further. The man behind the Silkroad was Ross Ulbricht a.k.a. “Dread Pirate Roberts” (DPR). He was the genius or the mastermind (depending on how you look at it) that married the idea of anonymous surfing and anonymous currency, thus creating an anonymous marketplace. With Silkroad, one can actually sell anything. It’s just that the site was popularly used as a marketplace for illegal merchandise. The idea of an anonymous currency and an anonymous network may be impressive, but the real reason Ross Ulbricht got busted was the plain old human error. Months before Silkroad got popular, Ross Ulbricht was trying to spread the news of his new site; which was Silkroad. He did it by visiting forums sites. In the forum posts, he left his email so anyone can contact him if anyone is interested. Here’s the thing – he publicly left an email with his name on it! This was the initial scent that the authorities followed, which eventually led to the fall of Silkroad 1. Now, how about Silkroad 2? Silkroad 2.0 officially went up a month later after the shutdown of the original Silkroad. The man supposedly running Silkroad 2.0 was Blake Benthall, also known as “Defcon.” Here’s the thing – someone obviously didn’t learn their lesson. When Silk Road 2.0 went up, the site can be traced to an anonymous server. In the server details, the authorities found out that the server was registered to a [email protected]! From then on, it’s Silk Road 1 all over again. There is no such thing as a 100% secure network on this planet. Even if you can create something that is truly secure, which is close to impossible, you still need humans to access it. And that is the biggest security hole – human error. Just like Silk Road 1 and 2. Everyone thought that it would be a supercomputer doing complicated stuff to crack the site’s security. When in fact, it’s actually a human error, like leaving an email unintentionally that will cause the first domino to fall down. A drug dealer who was apprehended as part of the international crackdown on the online black market Silkroad 2.0 has been warned that he faces jail term. 29 year old Cei William Owens, from Aberystwyth, was arrested as one of 7 citizens of United Kingdom who were taken into custody by the NCA (National Crime Agency) in November 2014, hours after the Federal Bureau of Investigation (FBI) arrested Blake Benthall, the alleged mastermind behind drug bazaar Silkroad 2.0. Mr. Owens and others were charged in February 2015. Owens appeared at the Swansea Crown Court on 22nd June 2015 and pleaded guilty to 5 counts of drug possession and distribution through the Silkroad 2.0 platform, specifically cannabis and magic mushrooms. In spite of Owen’s guilty plea, Judge Thomas cautioned the defendant that “all options remained open” when it came to sentencing. Judge Thomas also allowed a proceeds of crime application that was made by the prosecution counsel, Claire Wilks. The application gives the police powers to confiscate any assets or money Cei Williams made during his drug operation on the Silkroad 2.0 website. Owens, who previously lived in Aberdovey but is currently residing in Aberystwyth, was granted bail – subject to certain conditions. He will be sentenced on 24th July 2015 ahead of the proceeds of crime hearing that will be held later this year. The online black market Silkroad was founded in 2011 and enabled more than two hundred million dollars of anonymous online drug sales using bitcoins. Last month, Ross William Ulbricht, its creator, was sentenced to life in prison by a United States Judge for multiple charges including conspiracy to commit computer hacking, money laundering and drug trafficking. After the FBI shutdown the Silkroad, a second website called Silkroad 2.0 – was launched. The Silkroad 2.0 website is believed to have been infiltrated by government officials from the beginning, which is part of the reason why its creator and some of the drug dealers who used Silkroad 2.0 were arrested shortly after it was shut down. After carrying out several raids in the United Kingdom last year, the NCA bosses said that criminals were misguided if they thought that online black markets offered them an anonymous and safe method for them to sell drugs. ANNOUNCEMENT: Well it has happened! Another Silkroad Darknet Market has spawned after the demise of Silkroad 2.0. The new site is called Silkroad Reloaded and is utilizing different technology than its predecessors therefore a new guide for Silkroad Reloaded will be coming soon. In the meantime Agora Marketplace is still alive and kicking bigger than ever with more listings than Silkroad 2.0. A man alleging to be the former chief programmer of Silkroad 2.0 has threatened to auction off user account details and source code of the now defunct site to “Darkleaks”, a new black market for buying and selling information. The man who goes by the name of SRDouglas has announced that the deal would take place via his anonymous account, and the highest bidder would walk away with the valuable data. This individual says that from Nov. 2013 till the day that FBI agents seized Silkroad 2.0 in 2014, he secretively oversaw the website’s operations from behind the curtains and also managed to decode its primary servers. SRDouglas claims that he was paid 1,200 BTC for the services rendered, based on a comment he left on virtual chat forum Bitcoin Talk. The programmer expressed sentiments that he had been sitting on a massive database backup system consisting of valid usernames and hashed passwords of 476,122 active subscribers, 145,493 transaction records, 52,481 private messages, 51,490 depositing addresses, 13,280 brand listings and 7,756 plain-text passwords,including the entire Silkroad 2.0 source code. To prove the validity of his Silkroad auction, the man has already leaked a basic text file which has the 476,122 account details even though passwords have not yet been provided for security purposes. Only hashes are available for those who may want to view this information. He’s also releasing 10/100 chunks at specific sections of the main sequence blockchain. SRDouglas is available for online comments or deals at the Reddit platform, plus at a fee he’s also willing to spilt-up information from the defunct Silkroad 2.0 website. Initially the man wants to sell off database of all the available Silkroad usernames, and if that auction process goes on successfully other files would soon follow up. Before a client pays money for the Darkleaks file, a random collection of segments would be released having been specifically chosen by the block chain. This is done to determine whether the contents match with the leaker’s claims. ANNOUNCEMENT: Well it has happened! Another Silk Road Darknet Market has spawned after the demise of Silkroad 2.0. The new site is called Silkroad Reloaded and is utilizing different technology than its predecessors therefore a new guide for Silkroad Reloaded will be coming soon. In the meantime Agora Marketplace is still alive and kicking bigger than ever with more listings than Silkroad 2.0. The continued efforts of law enforcement against Silkroad 2.0 have notched another victory as they have now arrested the supposed second-in-command of the site, Brian Farrell in Seattle. Silkroad 2.0, a revitalized version of the illegal goods trafficking site shut down 2013, was itself shut down late last year. Now with Farrell facing serious drug charges, it appears as though the most powerful members of the organization are going to be behind bars. Farrell, known on Silkroad 2.0 as DoctorClu, is facing charges for the intention of distributing several illicit drugs such as heroin, methamphetamine, and cocaine through the site. He outlined his role on the site, being quoted as saying that “You are not going to find much of a bigger fish than me”, an apparent reference with his connection with the alleged head of Silkroad 2.0, Blake Benthall. Benthall, whose screen name on the forums was Defcon, was taken into custody in November 2014. The federal government, hoping to discourage other sites like this from going into operation, has been rather open about the steps that they took to get their hands on Brian Farrell. The FBI was able to convince a source within the site to feed them an IP address that was shown to have accessed the vendor section of Silkroad 2.0. This means that the individual who operated at this address had to have administrator or moderator access to the site. The FBI followed the leads through until they managed to get a cooperating witness, a person who was a roommate with Farrell. This individual gave the feds the information that they needed for finding out more about Farrell’s Silkroad operations before securing his arrest. Farrell’s arrest is the second in connection with the black market site Silkroad 2.0., which was shut down by the FBI in November 2014 as part of Operation Onymous. If you want to visit Silk Road 2.0 then you will want to know that it was shut down by the feds on 5th November 2014 and the alleged operator “Defcon” has been arrested. The best alternative is Agora Marketplace, it actually has more listings than Silkroad 2.0. Silk Road 3.0 is ALREADY live and there will be more info about it here soon. In early November, 2014, the US federal agents in conjunction with law enforcement agencies from other countries across the globe carried out an operation that led to the seizure of Silkroad 2.0 among other dark net bazaars. Reports emerging after the worldwide law enforcement sting named’ Operation Onymous’ now reveal that the core server that hosted Silkroad 2.0 was located in Lithuania. The FBI says they came across this information through their undercover agent who had infiltrated Silkroad and served in the site’s core management ranks since its inception in October 2013. The FBI further says this information became apparent in May 2014. From then, the agency asked the Lithuanian authorities to make copies of the data available in the server to be used in forensic investigations. To successfully clone a copy of the available data, the Lithuanian law enforcement agencies had to take down the servers. Silkroad 2.0’s administrator is said to have panicked as a result of this anomaly. While communicating with the Internet service provider on how to rectify the situation, he did provide information that revealed the server’s name along with other important information. The FBI equated the data the Lithuanian law enforcement agents sent to a ‘gold mine’. This information included private encryption keys for Silkroad 2.0 as well as private communication between the website administrator ‘Defcon’ and the site’s former administrator Dead Pirate Roberts 2. The private conversations centered on administrative issues like profit sharing schemes from Silkroad 2.0 commissions among the key conspirators as well as prior arrests of past moderators of the website. Aside from Silkroad 2.0, this burst also led to the closure of three other online drug bazaars as well as a suspected scam site. Other countries that were involved in this operation included Bulgaria, Hungary, Czech Republic, Latvia, Ireland, Romania, The Netherlands, Spain, Sweden, Luxembourg, France, Germany and the United Kingdom. 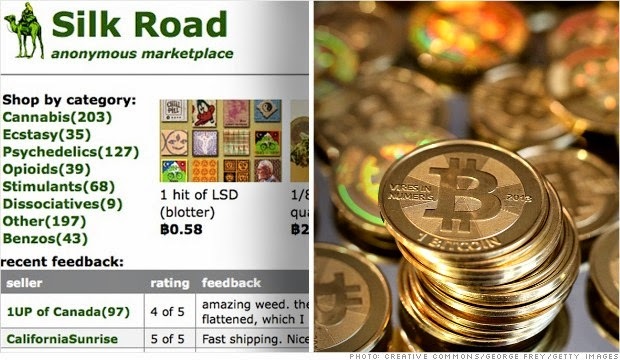 Started in 2011, the online marketplace Silkroad soon became the go-to place for all manner of illegal products. The users of Silkroad enjoyed the anonymity that they had even as they browsed. The Tor hidden services made it quite difficult for the Feds to pin down people in criminal charges. The original Silkroad was shut down temporarily before being opened up for business again as Silkroad 2.0. Studies show that at least $30 million worth of business was being transacted on Silkroad by 2013. The business transactions are taking place courtesy of over 3800 vendors who are active site users. While the Feds have tried to hold these vendors, they are not having much luck on that front. The Feds currently have the alleged mastermind of Silkroad Ross Ulbricht. Ross is expected to answer to charges of money laundering, conspiracy to traffic narcotics and computer hacking. He is also expected to answer to charges of conspiracy to planning a murder. For now, no one knows whether the prosecution will manage to get a conviction. The FBI had previously arrested two previous Silkroad vendors Jacob Theodore George IV and Steven Lloyd Sadler. Jacob pleaded guilty to charges of selling bath salts and heroin while Sadler was arrested on heroin and cocaine charges. These two did cooperate with the government in the case against Ross. While their testimony may end up crucifying Ross, the burden of making that conviction rests mostly on the shoulders of the prosecution. The fact of the matter is that three or four convictions compared to the over 3800 vendors on Silkroad is really a very small percentage. The volume of trade being done by these vendors is large. The FBI is not doing very well when it comes to arrests. The prosecution team on the other hand, is faring just as badly. As long as the Tor hidden services remain, the situation is not expected to improve. In fact, the success of the government in holding vendors accountable may go down because of Bitcoin and other digital currencies. Prosecution of the alleged creator of Silkroad Ross Ulbricht has had a minor triumph after a United States court rejected attempts to have the suit dismissed. The defense lawyer had in March 2014 made attempts seeking to have the judge refuse any further hearing on the case challenging allegations that Mr. Ulbricht conspired directly with silkroad customers. The suit to dismiss had also cited fault in the legal parameters defining money laundering stressing that bit coin is not covered within the confines of money laundering law. While dismissing Mr. Ulbricht’s claims, a US district judge said the government’s case had enough grounds to have the alleged creator of Silkroad prosecuted. The court recognized that bit coins have value and that they are used purposely as a store of the same and a means of exchange. The court reiterated that prosecution has cause to show Mr. Ulbricht acted in the capacity of Silkroad’s ringleader further adding that if or not the government can substantiate these claims at this point in time is not important. Mr. Ulbricht’s defense had sought to raise doubts on the narcotics and money laundering charges as such discrediting the validity of the case as presented by the prosecutors. The defense presented in court documents that showed the defendant never acted or held a managerial position in Silkroad especially among its community. The defense attorney also pointed out that prosecution had not presented evidence to prove Mr. Ulbricht’s involvement in managerial roles. With the court rejecting this motion to dismiss, Silkroad’s alleged creator now looks at a trial that is tentatively slated to start in November 3rd. If convicted, he faces imprisonment for continued criminal enterprise as well as computer hacking. His defense will now focus on arguing that Silkroad is an e-commerce site just like any other and should not be made to answer for illegal activities committed on the platform. On October 2013, the FBI shutdown Silkroad and arrested alleged mastermind Ross William Ulbricht. Ulbricht now faces charges of computer hacking, money laundering, conspiracy to traffic narcotics and planning murder. However, what is overlooked is the fact that there are been very few convictions of the vendors who used the website to run profitable illicit businesses. Silkroad began its life in February 2011, taking its name from the historical trade route in Asia. It quickly became the Internet’s most popular marketplace for illegal product. Thanks to Tor hidden services, users were able to browse Silkroad anonymously without having to worry about traffic being monitored. The underground site was home to a wide range of products for sale including books, art and apparel. However, it is best known as being the “Amazon.com of illegal drugs”. In March 2013, it was estimated that of 10,000 products that were on sale on Silkroad 70% were drugs. The first person to be convicted as a result of transactions on Silkroad was an Australian cocaine and MDMA dealer. This conviction was a result of importing drugs through the mail to Australia. When police searched through his home they found information linking him to his Silkroad areas on this computer. Another key arrest was that of Jacob Theodore George IV who a Silkroad vendor was named “Digital Link” who pleaded guilty to selling heroin and bath salts on the digital marketplace. Vendor Steven Lloyd Sadler with the name “NOD” was also arrested by Federal agents for selling cocaine and heroin. Both George and Sadler would later corporate with the government and the case against Ross Ulbricht. In one 2013 study, it was estimated that there were between $30-$45 million in transactions annually through the Silkroad. In the Federal case against Ross Ulbricht it was alleged that there were 3,877 vendors actively doing business on the site. In comparison to the size of the trade volume and the number of vendors, there have been a relatively small numbers of arrests. These arrests also appear to be the result of postal intercepts and other drug investigations, rather than as a result of Silkroad being penetrated by the government. Could Illegal Sites Like Silkroad Be Good For Society? Certainly Silkroad and other illegal sites are beneficial to the society. Use of contraband drugs has only increased even as various governments have intensified the fight against illegal drugs. People want to get high they will get high no matter what you do but illegalsites like Silkroad provide safety. While buying drugs on the streets chances of being assaulted or robbed are high. The gangs that sell these drugs also fight among themselves to secure their territories. This never happens online. In an attempt to make their drugs better or more intoxicating street vendors are susceptible of lacing them with harmful substances, which may be detrimental to the health of the consumer. Sellers on illegal sites like Silkroad sell quality drugs because one bad review may put you out of business immediately. In the streets you do not have the luxury of comparing prices since you are afraid of getting caught .The street vendors know this and thus they sell at exorbitant prices, on online marketplace like Silkroad you can check the prices of all vendors and buy at an affordable price since they are all clamoring for customers. Your payment is held in escrow until you confirm you have received the merchandise then the seller gets it. In the streets the chances of being cheated are high. Not many people are arrested selling or buying drugs online since they mostly are anonymous. Physical contact is minimal this leaves our jail cells less congested. The accessibility of drugs with no fear or little chance of being caught may cause a spike in drug abuse and peddling however, it is a mistake to blame illegal sites like Silkroad for that since they did not introduce them to the society. Furthermore they have ensuredpeople consume uncontaminated drugs and violence has reduced in our streets. Aren’t our streets safer? Silkroad also sells art, biotic materials, books, collectibles, and digital goods all at competitive prices. It has improved the lives of the poor by making less drug peddlers be around their neighborhoods.